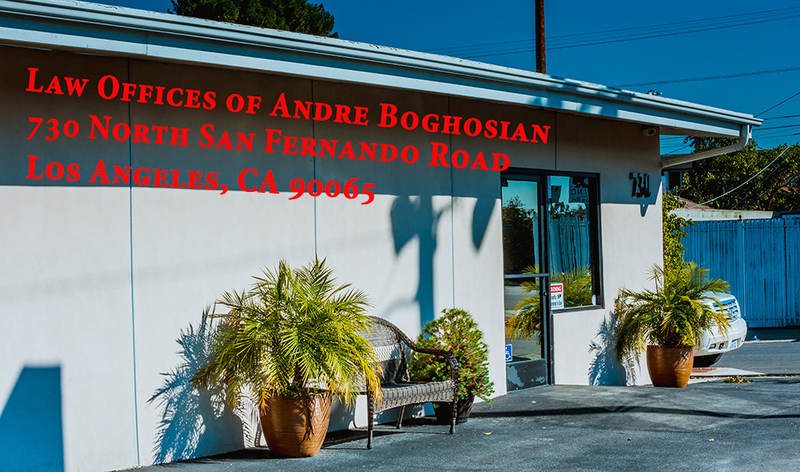 If you’ve been involved in an accident or have experienced injury due to negligence, contact Andre Boghosian today. I am Andre Boghosian, attorney at law. I have been serving the Greater Los Angeles Community since August of 2001. My office focuses its practice in the areas of Immigration, personal injury and criminal defense. I DO NOT charge for consultation and am eager to meet with you. I will listen to you and spend time with you to better understand your case. I will let you know what I could do for you. There will be no strings attached. You will then have the opportunity to make an informed decision to retain my services. When it comes to having rights, you maybe in the best country in this world. However, you must voice yourself and you must demand to receive what is yours. Having the right attorney makes all the difference. You may think that it would be less expensive if you represent yourself, however, most often, self representation ends up to be the least effective and the most expensive way to go. Get an attorney. Get an attorney who knows the law, is experienced and cares for you. Give me a call. 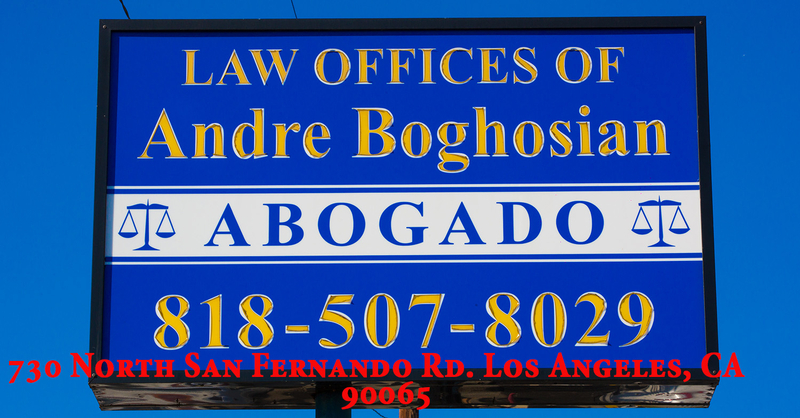 Law Offices of Andre Boghosian. Call for free consultation on immigration and criminal matters. Check out this 5 star Yelp review by Geghart M.: Best lawyer you can ever find. They just saved my life. Monday through Thursday 9 AM to 5 PM.